I feel like I put up our Christmas tree last week so that I could stretch out the holiday season even longer, but it still feels like it’s speeding right along. SLOW DOWN TIME. As you may have seen from Monday’s post, we had our gender reveal and now that we know it’s a boy we have to start thinking about names and all that fun stuff. Boy names are hard guys! We don’t have much planned this weekend which is my favorite, and I may use that time to get ahead of some posts and work so that I can slow it down during Thanksgiving next week. I may also end up napping with Donut so who knows. Either way, it’ll be a low key weekend and I hope that yours is too! 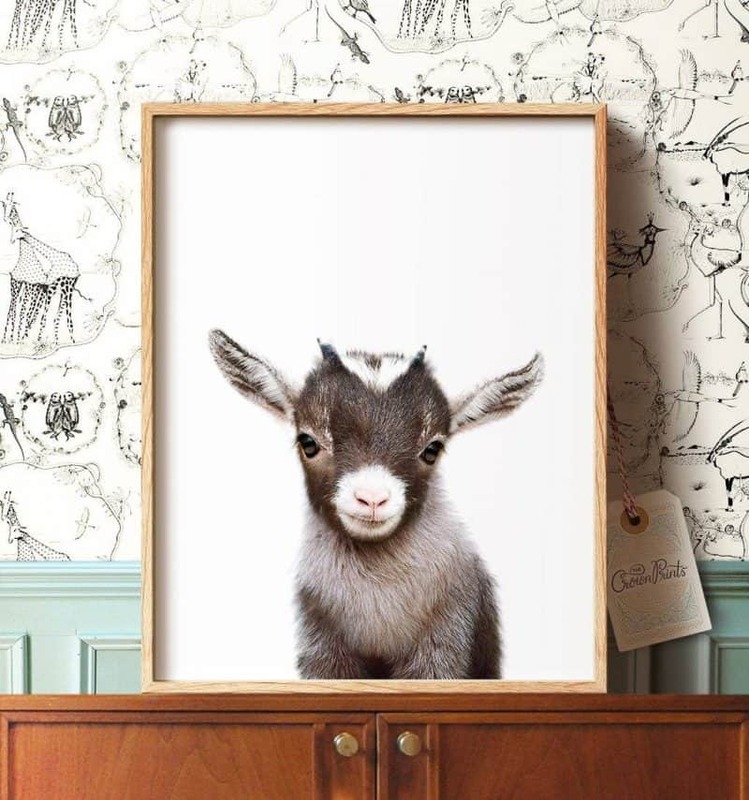 This baby goat is the first one I saw and I loved it because if you know me, you know I love watching videos of baby goats. They’re so happy! There are more than just animal prints on the website, and (for now at least) it looks like there’s a coupon for 30% off 3 or more: 3ANDMORE. 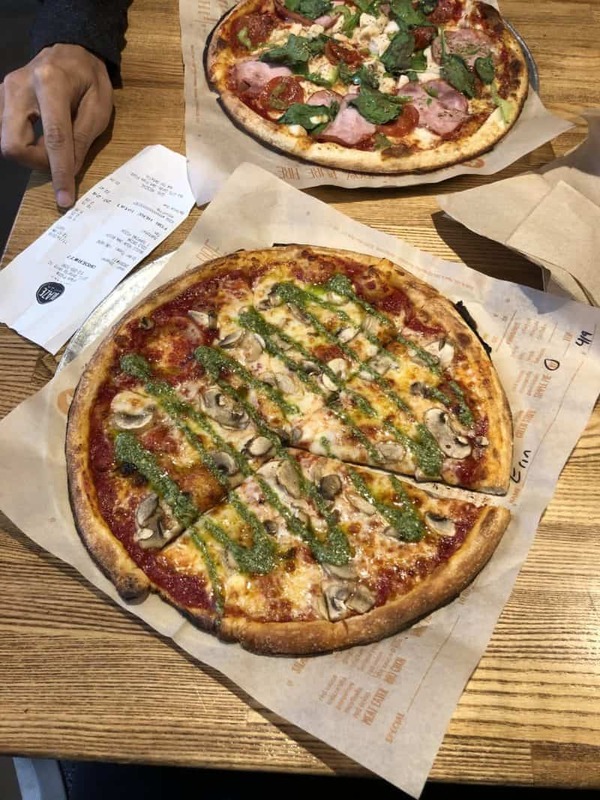 I have been having serious Blaze pizza cravings for a couple weeks now and going at least a couple times a week. IT’S SO GOOD. If you’ve never been, think of it as like a Chipotle of pizza where you go down a line and make your own pizza (or choose from any of the options listed on the menu). It’s then wood-fired and ready for you within minutes. They’re 11 inches, which for me is a single serving, but they also have lunch specials where you can get half pizza half salad if you want. My go-to has always been sauce, cheese, mushrooms, and then pesto drizzle at the end. There’s also a pesto sauce you can choose at the beginning, but DO NOT. Wait and just get the drizzle at the end it’s much better. There’s actually way more locations than I realized, so to see if there’s one near you, check here. Now that the weather is getting colder, another comfort food besides my gluttonous love of pizza is pho. Neil and I got some over the weekend and it was so satisfying. We have to travel a bit to get real, delicious pho, but if it were closer I would probably eat it a lot more. It’s just so soothing on a cold day and since moving to Chicago we have made it a Christmas Eve tradition as well! Now the name aside, these brownies are the bomb. I first found them years and years ago at Trader Joe’s, and since then have gotten them off and on when I’m in the mood for brownies. Lately Neil has been wanting more chocolate (sympathy eating? ), and when I tried TJ’s again, they didn’t have them. He then proceeded to order a pack of 6 off Amazon, but it was a great deal and now we are stocked for awhile. We like them because you simply add yogurt (we use Fage Greek yogurt) to the mix, stir, and bake. The longer you bake them, the more cakey they are, so we tend to undercook them just a bit so that they are more fudgy. Either way, they’re delicious. Last night I had the opportunity to attend a meditation session hosted by Reside Living at their State & Chestnut building. It was a nice, relaxing guided meditation that felt like a good option for me to do to mix things up and also work on being more mindful. I feel like we could all use a little more of that, don’t you? 🙂 Selfie taken post-zen haha. There are always a ton of free events and classes going on across all the buildings, so I’m lucky to be able to be a part of them. If you’re looking for a place to live in the city, definitely check out Reside. That’s all I have for this week — see ya Monday! I have been following you on Instagram for awhile now and love reading yous posts! 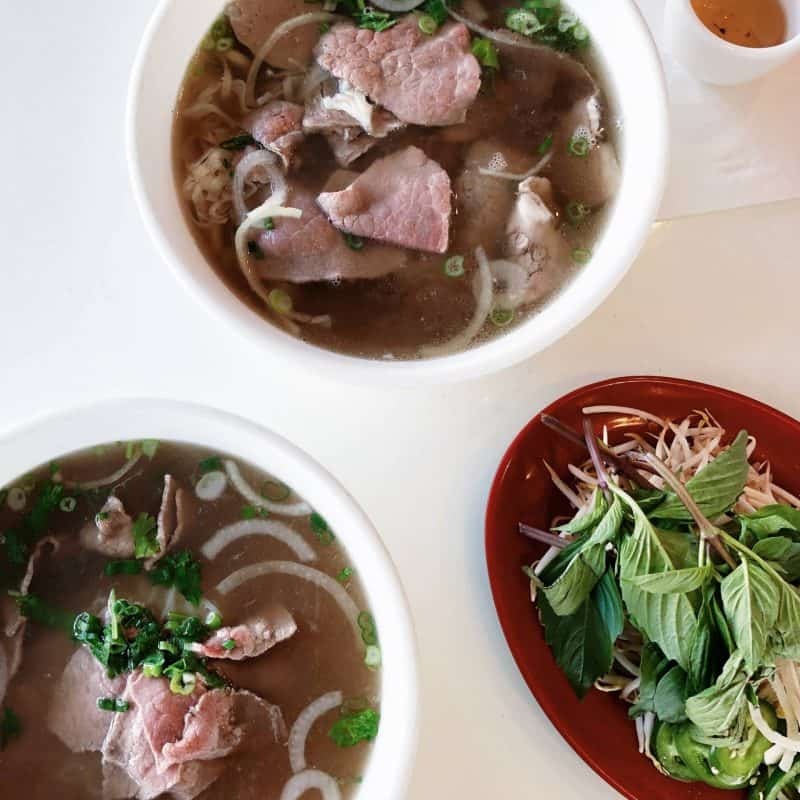 I’ve never tried Blaze pizza or Pho but have a list of must go places in Chicago for pho so hoping to check them out this winter! I have the brownies on my Amazon shopping cart now but am hesitant to buy all 6 boxes….lol are they really good? I am curious if you count your macros/calories (not now obviously but before pregnancy). I know you work out and I see you eating all the goodies I try to avoid but in a balanced way and you are able to maintain a very fit/healthy body. Me on the other hand, I try to avoid most carbs and be on caloric deficit and have been stuck and not losing for way over a year. DO you have any advice on that? Anyways, sorry for the long comment! Have a great and relaxing weekend and I am looking forward to reading your next post! Awwww I’ve never seen those baby animal prints…they’re so cute they make my heart ache. I love Blaze pizza! There was one half a block from my old job so it was both amazing and dangerous because I wanted to eat it all the time!! When I was pregnant, especially when I was nauseous all the time, I could still keep down a blaze pizza. It truly is a gift from God. hahaha! I have been tailing you on Instagram for a moment now and love perusing yous posts! I’ve never attempted Blaze pizza or Pho however have a rundown of must go puts in Chicago for pho so wanting to look at them this winter! I have the brownies on my Amazon shopping basket presently however am reluctant to purchase every one of the 6 boxes… .lol would they say they are great? 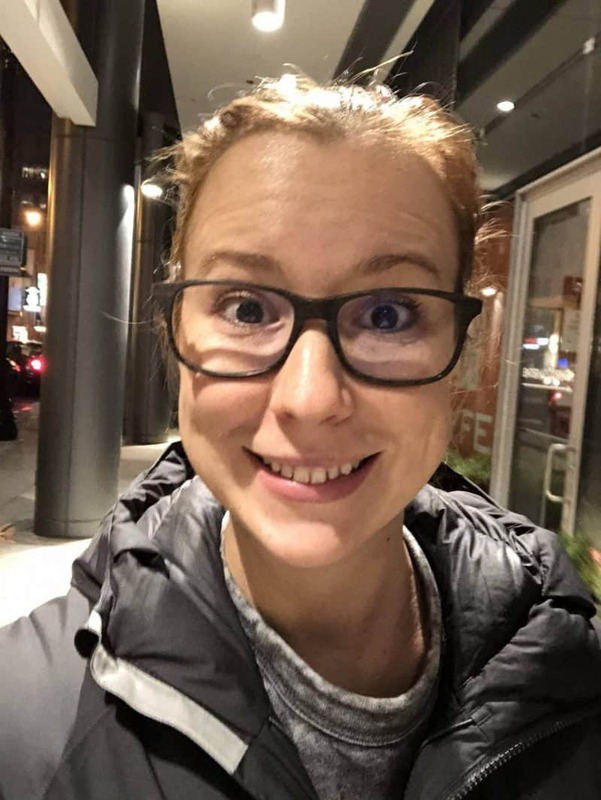 I am interested on the off chance that you tally your macros/calories (not currently clearly but rather before pregnancy). I realize you work out and I see you eating every one of the treats I attempt to keep away from yet balancedly and you can keep up an exceptionally fit/solid body. Me then again, I endeavor to evade most carbs and be on caloric deficiency and have been stuck and not losing for route over a year. DO you have any counsel on that? In any case, too bad for the long remark! Have an extraordinary and loosening up end of the week and I am anticipating perusing your next post! Thanks for reading Thaya! The brownies are our favorite and we just made another box last night so I would say yes haha. I don’t track any macros; I did that like a year + ago so that I had a better idea of what I was eating in a day, but it’s not something that works w me long term. I generally eat a lot of the same things and don’t like to deprive myself of foods that I enjoy, so I try to just balance it the best I can. Luckily my body tells me when I’ve been indulging a bit too much and it will start telling me it wants healthier foods, so it’s been an ok journey! Good luck to you on trying for your baby!!! !